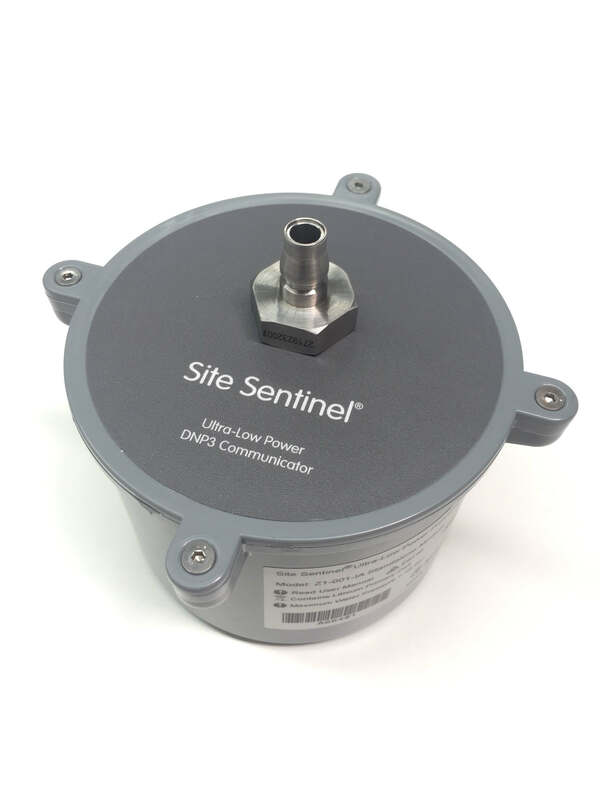 The Site Sentinel® Z1 is a specific variant of the Site Sentinel® data logger and RTU family, providing highly-reliable, direct-to-host pressure monitoring in a single package, aimed at the water utility sector. The Site Sentinel® Z1 is designed for direct connection to customer taps or water mains for the purpose of temporary or permanent pressure measurement for zone monitoring or analysing customer water pressure complaints. The Site Sentinel® Z1 is also ideal for temporary deployment for use in calibrating water models. The Site Sentinel® Z1 product provides highly-reliable direct-to-host data monitoring in a single package thanks to built-in 3G or 4G cellular modem and native DNP3 / FTP data protocols as standard. Swift deployment is made possible thanks to the built-in front panel mounted pressure sensor equipped with quick-connect bayonet style fitting. The Site Sentinel Z1 product offers end users a cutting edge hardware platform design and industry-leading ultra-low battery power consumption along with IP68 Rating (4 metres / 4 days). The Site Sentinel Z1 product is equipped with both Internal and External Antenna connections.